You may decide to move out in near future. 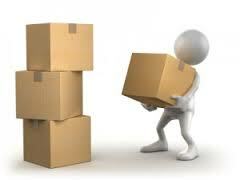 You may decide to move your company office and therefore transfer the huge assets from one place to another. For all such scenarios, you need to appoint a moving company to take care of things. Let us understand the key things to remember while hiring a moving company. • Find a relocation company that can provide you flawless service at your current location and the new one you are going to move to. Search online, take reference from yellow pages, and ask your colleagues and friends. • After you compile a list of moving services that suit your needs, contact them and arrange for an appointment. During the appointment get all your queries cleared before making the final deal. • The appointment will disclose the prospects of the moving service provider, whether they are positive or negative. • If positive go ahead and lock the deal. If it is negative then look for another provider. Don’t hire a moving and service company over factorial estimates received on mail or phone. Also don’t get services from a company that only insists on giving estimates via mails or phone calls. In any case, there are chances that the virtual estimates may be in total contrast with the real ones. Therefore, always meet your service provider and ensure the virtual estimates are in alignment with verbal and written ones.